Thanks to the bitterly cold and snowy first two weeks of January and more free time than usual before I started a new job, I finished six books in January that were all downloaded onto my Kindle. I’ve recently found that I can get through a book much quicker by reading it on my e-reader — maybe it has to do with seeing a smaller amount of text on the screen than on a single page? Seeing as I’m out of school now and working on my computer all day, I think I’ve felt more drawn to reading during downtime, so I’m very excited to see if I read a similar number of books in February. So, for the first time on my blog, I’m sharing my thoughts about the books I read this month! This is a travel memoir capturing the author’s budding relationship with a Frenchman and her transition to full-time life in France when their connection turns serious. It includes French recipes that Bard tried out while adjusting to the stylistic and cultural differences of an European kitchen. 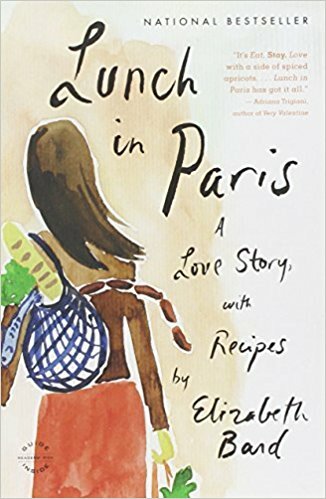 I skimmed through the recipes included in the book and enjoyed the author’s personal story, but I’ve definitely read similar books, so Lunch in Paris wasn’t particularly special in the end. Confession: I don’t watch any Shondaland shows. In high school, I think I gave the first two or three episodes of Grey’s Anatomy a try, but the length of the series and so many people saying that its quality diminished over the years turned me off. Although, I wrote about its new firefighter spinoff for work, and I may see how I like the pilot! Regardless, I admire Shonda Rhimes immensely, because who else basically owns an entire night of network television? Her book has its inspirational moments, but a lot of it felt as if it was the same message rehashed in different ways. I did love how she spoke specifically to creative people’s POV, though. This book is amazing. I think it might be too slow for some readers, but I devoured this time travel historical fiction in about a day and a half. The two main characters’ mission to travel back to the 1800s and find a missing Jane Austen manuscript that could help improve their dystopian future filled the Timeless-shaped hole in my life (it finally comes back March 11!). The book really handles time travel and the characters adjusting to an new era in a very realistic and thorough way, which I loved. In addition to having such a unique plot, The Jane Austen Project had lovely writing, and based on the ending, I really hope the author considers a sequel! If you’ve stuck around this blog for long enough, you know that I’m a huge Anglophile. I’ve missed out on the majority of Masterpiece programs from the past few years because I was just busy with school, but I have a list of several PBS period dramas lined up in my streaming queues at the moment. Even though Downton Abbey was really the only Masterpiece show I’m very familiar with, I loved author and Masterpiece executive producer Rebecca Eaton’s insight into how the program began and how she became involved in this kind of work. I found her narrative voice so relatable, and she made the program’s history so interesting to read about. 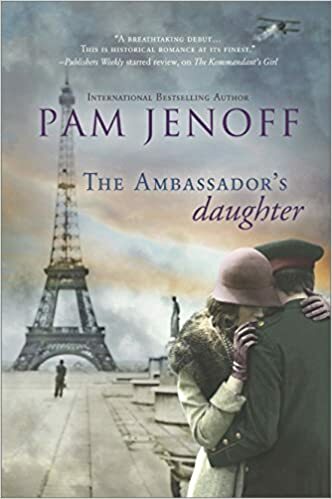 I talked a lot about my struggles with Pam Jenoff’s writing at the end of last year, and I’m more convinced after reading this one that I just can’t bother with any more of her books. I wanted to read The Ambassador’s Daughter because it was a prequel to The Kommandant’s Girl and told the story of Georg’s first wife. I was truly expecting the book to cover the darker side of their relationship that The Kommandmant’s Girl briefly mentioned, but I was extremely disappointed when it ended before Georg and Margot were even married. As I’ve found with the other Jenoff books I read, it was decent enough to finish, but just left me feeling unsatisfied. I knew this book would be my type of read right from the get-go. Kitty is an old maid in 1960s Denver, running a bookshop with her best friend when she starts having reoccurring dreams in which she is a wife and a mother. Soon, the dreams become so constant and realistic that she becomes torn between the two worlds, questioning if there is an aspect of truth to her dream life. 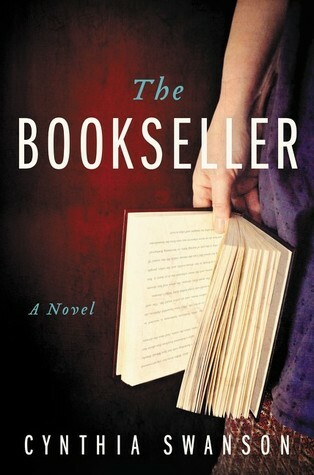 The Bookseller has already been picked up as a movie adaptation starring Julia Roberts, and while that’s definitely intriguing casting, this was one of those books with characters that appeared so vividly to me that I’d probably dislike any film version. It’s a very immersive read, but still very easy to get through. What about you? What books have you read recently?